We enjoyed our Maine to Melbourne Lobster Roll, though it definitely felt a bit ‘much’ at times. Despite the small size, the lobster roll packed plenty of flavour and loads of juices. The chilled lobster within was plentiful and tender, inheriting flavour from being topped with loads of mayo and chives. Holding it all together was the toasted brioche roll. The toasting allowed for a crisp outer, though the bun itself was just so incredibly buttery to the point that the butter leaked out with each bite. The salad and fries were fine, nothing to write home about though perfectly serviceable. 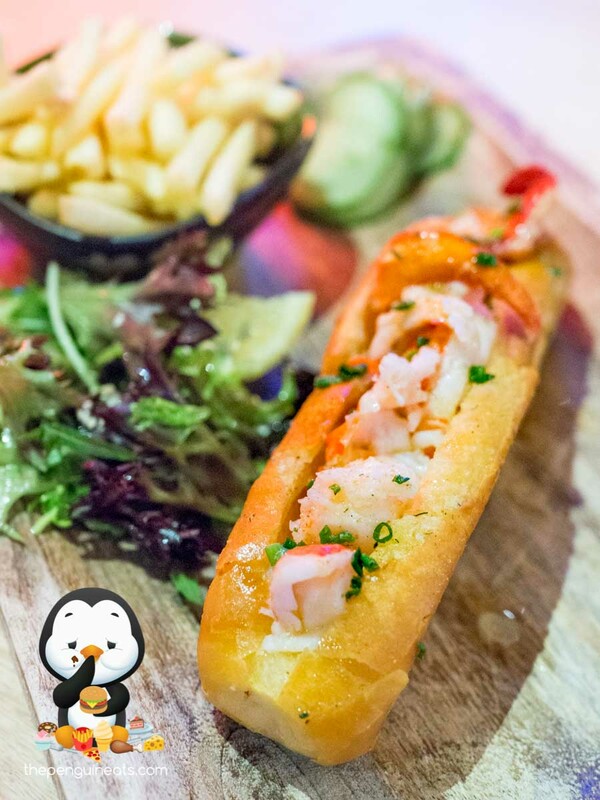 Pinchy’s presents an interesting take on an American staple. While the flavours are full-on, the portion size did feel a tad small given the price tag. Penguineats dined complimentary of HWKR.